Due to problems in production of the Buffalo Nickel at many of the mints, the Treasury Department wanted to replace the Buffalo Nickel with a new design commemorating Thomas Jefferson. In early 1938, the Treasury department held an open competition for all artists and sculptors to create the new design, requiring a portrait of Jefferson on the obverse and the image of Jefferson's home, Monticello, on the reverse along with the other standard requirements for all U.S. currency: year, motto IN GOD WE TRUST, the word LIBERTY, and the denomination FIVE CENTS. Felix Schlag won the competition, though his image of Monticello was changed from a corner view to a full front view and other features of his original design were modified prior to release. 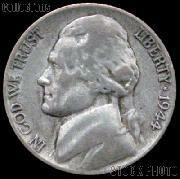 In October 1938, the Mint began producing the Jefferson Nickel. 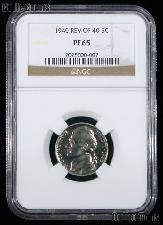 The initial composition was 75% copper and 25% nickel, though this was changed to 56% copper, 35% silver, and 7% manganese in 1942 as nickel was needed for military armor during World War II. 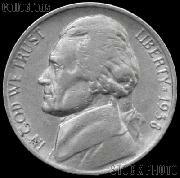 To distinguish nickels produced with the new composition from the prior nickels, the mintmark was enlarged and placed over the dome of Monticello instead of to its right. 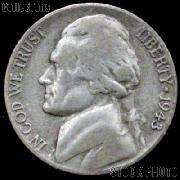 This was the first instance of "P" being used to designate coins minted in Philadelphia. 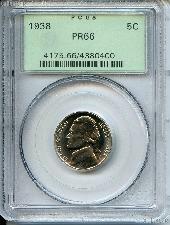 In 1946, the mint returned the composition to the original mix of copper and nickel which remains in place today. The mintmark was also returned to the prewar style. From 1966 through 2002, the mint made only minor modifications to the design of the Jefferson Nickel. 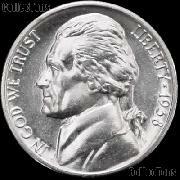 In 2003, the American 5-Cent Coin Continuity Act provided for the creation of five special reverses for nickels from 2004 through 2006 which would commemorate the bicentennial of the Lewis and Clark Expedition. These nickels were referred to as the "Westward Journey Nickel Series". The 2004 nickel had the original obverse designed by Schlag with either the "Peace Medal" reverse designed by Mint sculptor Norman E. Nemeth or the "Keelboat" reverse designed by Mint sculptor Al Maletsky. The 2005 nickel had a new portrait of Jefferson on the obverse designed by Joe Fitzgerald and rendered by Mint sculptor Don Everhart . The reverse was either the "American Bison" designed by Jamie Franki and produced by Norman E. Nemeth or "Ocean in View" designed by Joe Fitzgerald and produced by Mint sculptor Donna Weaver. 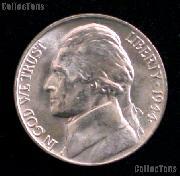 In 2006 the final Westward Series Nickel, "Return to Monticello" featured Schlag's original depiction of Monticello on the reverse and a new portrait of Jefferson designed by Jamie Franki and sculpted by Donna Weaver on the obverse. This design remains in production today. 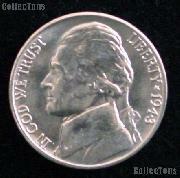 Jefferson Nickels were issued by the Philadelphia, Denver, and San Francisco Mints. Interested in learning more about Jefferson Nickels?